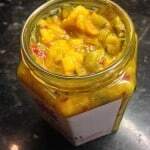 Have you go the kahunas to try this incredibly spicy piccalilli? Our amazingly good piccalilli with a good helping of our own grown carolina reaper chillies. 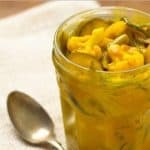 Whether you’re a piccalilli fan or not we have been surprised by the number of non piccalilli eaters that have dared try it, not only have they tried it but bought a few jars at the same time! Credit where it’s due that says it all! We have developed this to ensure that there is just enough sauce to pickle ratio, although enough sauce to prevent it from being too dry. 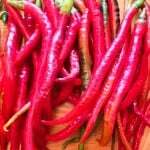 By keeping the tangy acidity levels down it allows you to taste the chillies, not screw your face up with the sharpness. Although it features our milder chillies, you still get a tingle and sweeter flavour than you would with an ordinary pickle. If you think our painful piccalilli is far more expensive than the shop bought piccalilli equivalents. Please note how much veg you get cram packed into our jar, not ALL sauce like the big brands and do I need to remind you that this was lovingly had made in Leamington Spa! 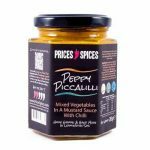 Once you’ve tried this you’ll consider the bigger brands to be the paupers of the piccalilli world! 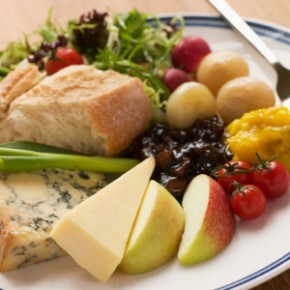 Ideal for having on sandwiches and with cold meats all year round, as it’s not overly tangy it will work with a cheese ploughmans too. If you come up with any usage ideas that we’ve not thought we’d love to know, heck we might even feature it on the website if you want! If nothing else we’d love to hear your thoughts and opinions by the way of a review. 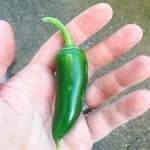 Using this to guage whether you’d like our products milder or spicier. While not currently in production we are willing to fulfil any orders of this over the easter weekend! Happy Easter and Happy April fools day! 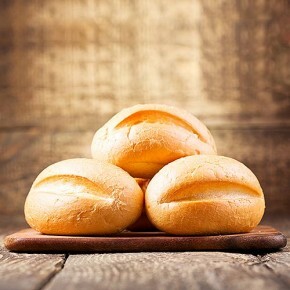 The perfect bread for the most perfect of piccalilli. This simple fuss free recipe is satisfying no matter what the weather. 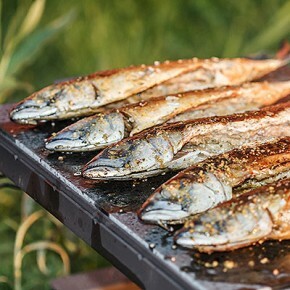 Very easy to create and sumptuous to eat. The rabbit works beautifully against the sharp peppy piccalilli. 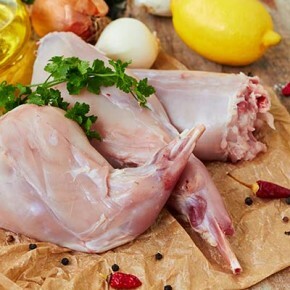 A really fast meal is sometimes just what you need, this gives you the ability to rustle up something tasty, healthy and delicious all at the same time. 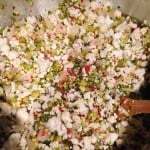 Vegetables (Cauliflower, Courgette, Onion, Shallots, Gherkin, French Beans)(52%), White Wine Vinegar, Sugar, Carolina Reaper Chilli (10%), Mustard Powder (1%), Gluten Free Plain Flour (Rice, Potato, Tapioca, Maize Buckwheat), Ground Turmeric, Ground Ginger, Salt. Bought some of this at the Chichester Chilli Festival having had the gauntlet thrown down to me on the stall. I love this stuff, despite the name being slightly offputting. I wouldn’t call it painful, more “pokey”.